FUJIFILM announces a firmware update for the mirrorless System camera FUJIFILM X-T20. The free update extends the Range of functions and improves the operation of the camera. With the new firmware, the X-T20 is compatible with the RAW conversion software “FUJIFILM X RAW STUDIO”. This allows the RAW data directly in camera when connected to a computer via a USB cable. is bound. The update also provides photographers with advanced flash features in the Radio remote control of compatible studio flash units from other manufacturers. About that It also introduces a new algorithm for improved AF-C tracking. The firmware update for the X-T20 will be available in early April 2018. With the newly developed scene recognition algorithm, the camera can track even smaller moving objects twice as fast as with the previous firmware version. 1. Enlarge display: When you double-tap, the picture is magnified and centered on the focus point. 2. Focus range selection: The user can move the focus point even when magnified. 3. Zoom in / out: If you split or contract two fingers on the display, you can now also change the thumbnail (9 pictures / 100 pictures). 4. Select an image from the thumbnail view by tapping or dragging the image, or double-tap to full view. * Except for some functions. With the FUJIFILM X RAW STUDIO software, RAW data can be converted using the on-board X-Processor Pro when the camera is connected to the computer via a USB cable. Fast batch processing of several recordings in quick succession is also possible. “FUJIFILM X RAW STUDIO” is available as a free download on the FUJIFILM website. With the update, the high-speed flash synchronization and the TTL flash exposure mode can now also be used with radio remote control of compatible studio flash units from other manufacturers. A function key can be used to fade in the RGB histogram as well as to activate the overexposure warning (blinking of overexposed areas). With the firmware update, the information displayed in the viewfinder and on the display can be enlarged. The position of the display can now also be selected by the user. Don’t forget to join our Fujifilm XT Owners Group, also follow Fujiaddict on Facebook and Twitter. 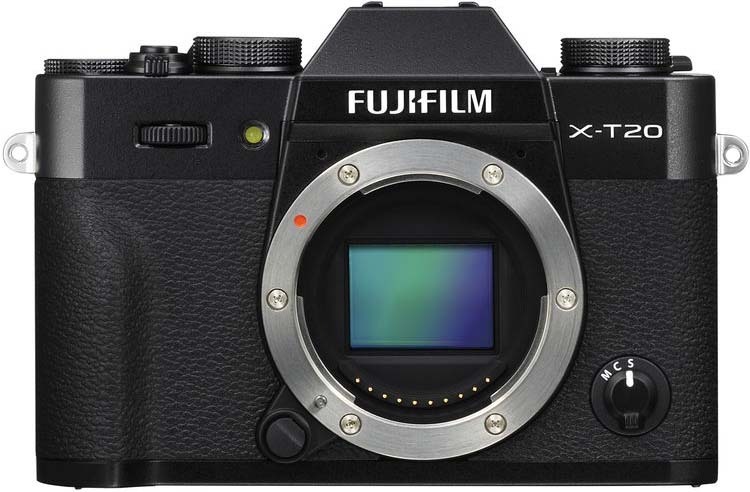 This entry was posted in Fujifilm X-T20 and tagged Fuji Rumors, Fujifilm, Fujifilm Rumors, FujifilmRumors, Fujirumors. Bookmark the permalink. Trackbacks are closed, but you can post a comment.